Ensure you’re getting the benefits you’re entitled to by calculating, logging and tracking all your business travel using our unique mileage features. 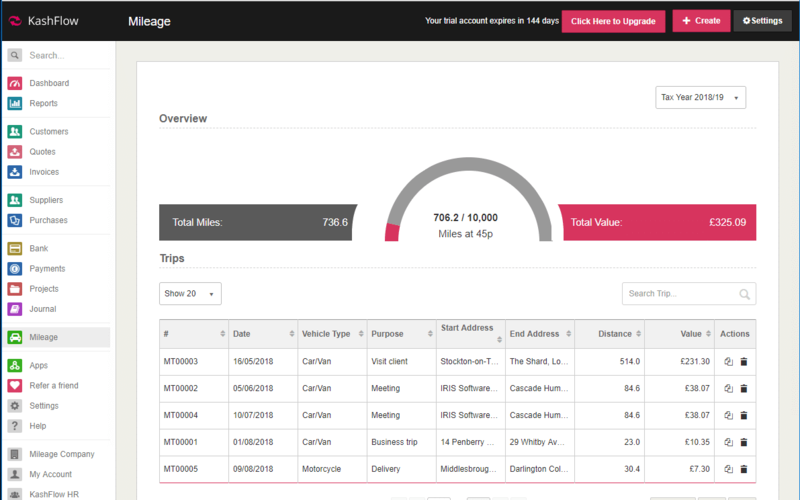 Get a complete overview of all your business trips using our unique mileage module dashboard. It lists all your journeys, distance values and dates, allowing you to export them in bulk. KashFlow allows you to log every aspect of your journey. Integrating with Google Maps API allows us to automatically calculate the distance of the journey for you and gives you the option to choose your selected route. 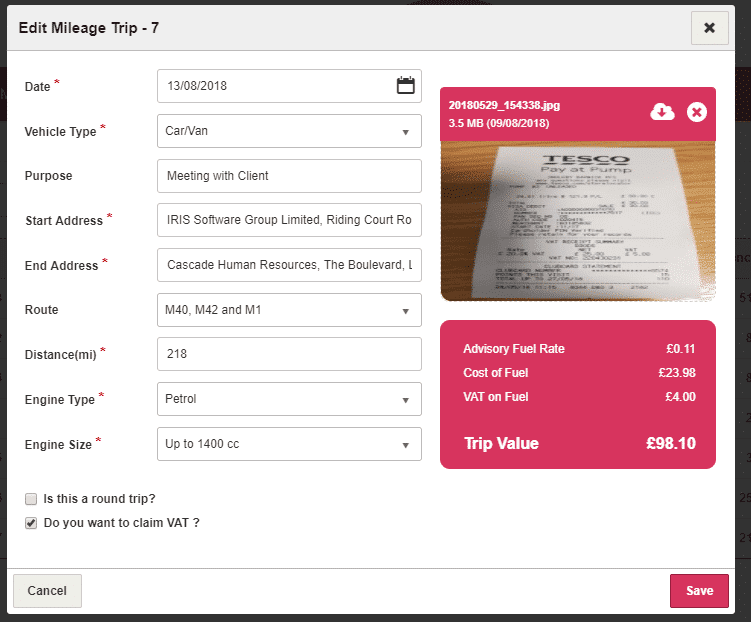 Easily attached images of fuel receipts to each journey so you have a complete record of your journey and cashflow. 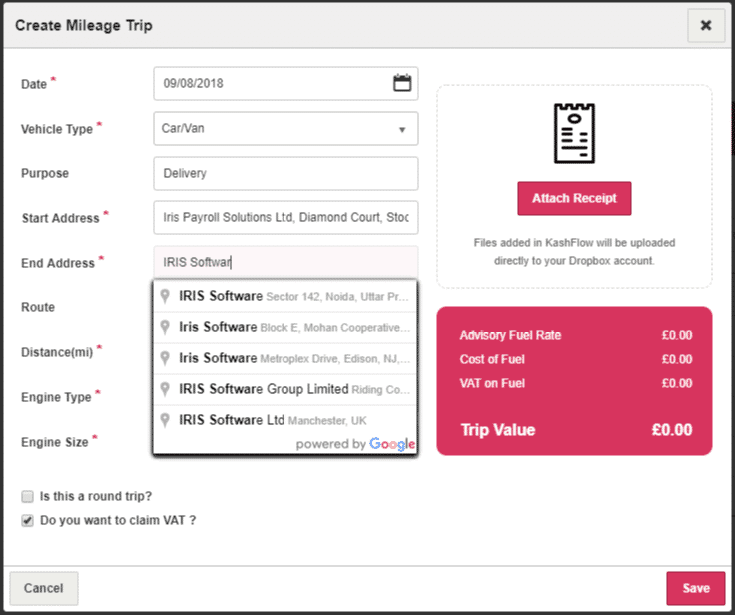 KashFlow will calculate the VAT on each journey. 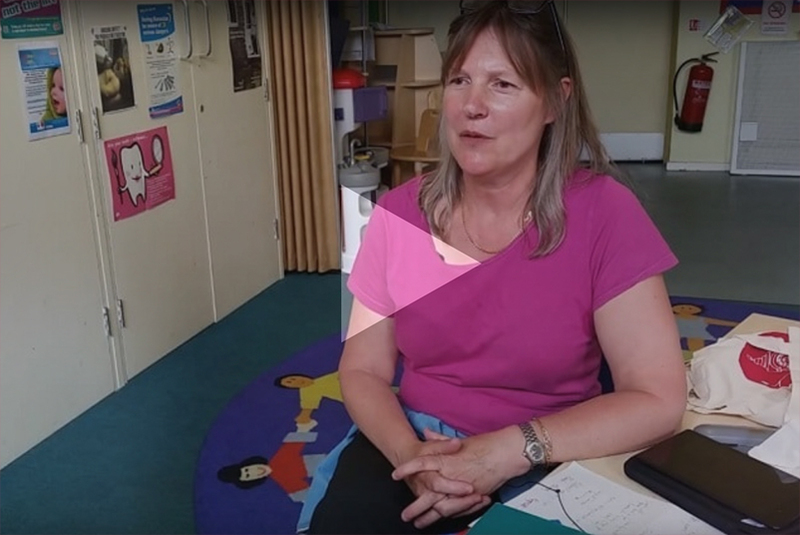 View or download the amount you can claim back from your business using the KashFlow Self-Assessment Report which includes car, van and travel expenses. This makes completing the SA103 easy.